What takeaways can you expect? UPDATE: This post has been updated to include my slides further down at the end. Lean Startup Machine is coming to Bangalore, India. LSM has held 150 workshops in 50 cities, across six continents, for over 25,000 aspiring entrepreneurs around the world. Unless you’ve been living in a cave, you’ve likely noticed that the Lean Startup movement has been gaining momentum worldwide. Since Eric Ries wrote about continous innovation, several startups have embraced a new way of building sustainable businesses. One of the misnomers associated with lean, especially amongst the uninitiated, is thinking that lean represents just a capital efficient way of running a company. Instead, it’s a radical shift in how we think. Practitioners go through a methodical set of steps. They start outlining their bright new idea and identifying their target customers. 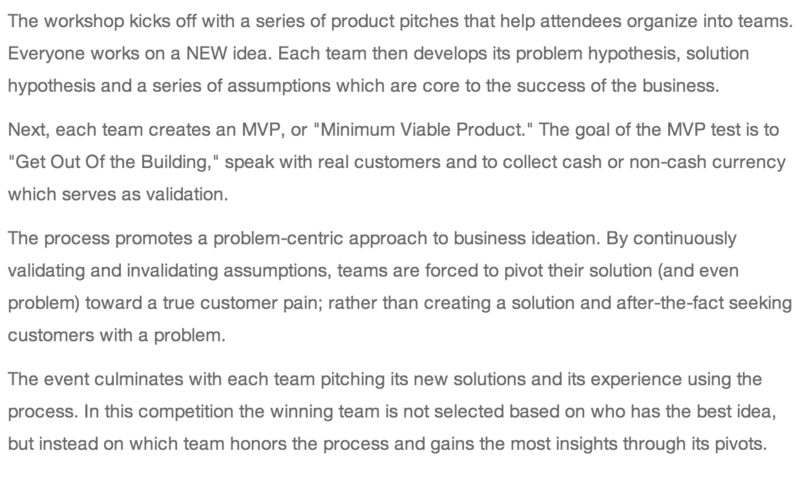 Next, they put down the high risk elements of their idea, and go about validating them with a series of iterations that involve direct customer feedback. They progress forward only after having gotten validation at each step. While the lean approach does not guarantee success, it provides a systematic foundation for real learning and improvement. I’ve blogged recently about what I’ve learnt about customer development, applying lean to mobile app development, and learnings from an MVP that we abandoned. A lot of it is plain common sense, and likely includes many things you already apply. I’ve found it valuable to have a structure around my thinking as well as a shared vocabulary since it helps me communicate my thought process and intuition better. I’ll continue to update my blog as I learn more. I was recently invited to volunteer as a mentor for young, upcoming entrepreneurs that are going through a 3-day workshop at Lean Startup Machine. LSM has held 150 workshops on lean methodology in 50 cities, across six continents, for over 25,000 aspiring entrepreneurs around the world. All the mentors volunteer their time, and pay it forward towards the community. It’s an excellent line up. There’s several leading lean practitioners like @mtrajan, @mohamax and @natwar86, who are all doing a wonderful job educating and supporting the local community. There’s successful enterpreneurs like @phani1881 and @pratyushp as well as VCs like @seedfund and @s_brij_verma. I’m chuffed to be in such good company. Melissa Peri on her Lean Startup Machine experience. It’s worthwhile noting that the LSM workshop is not a hackathon. It’s less about coding, and more about teaching entrepreneurs and innovators about how to build products. Validation boards are tools to help enterprenurs apply lean methodologies. They provide a sheet which helps you structure your thinking with slots for your USP, target segment, revenue model, hypothesis, and learnings. A few popular boards include the Lean Canvas and Javelin Experiment Board. Javelin, the organization that runs LSM worldwide recently raised $1.5 million, and part of the agenda in the LSM workshops will be to orient you with their own tools. Related, but slightly different tools for managing your KanBan include Lean Startup Kanban and LeanKit. Network with several aspiring entrepreneurs in a small cohesive environment, far away from the noise of the startup conference dance. Learn how to adopt a systematic way of testing out your ideas to see if they solve real problems. Understand how getting out of your cubicle and talking to real users can help you seek validation about your ideas early, and help refine your MVP. Practical examples of how other lean practitioners have benefited from the methodology, and insights you can benefit from. 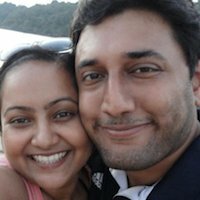 LSM tickets are $299 in the US, but are priced by the organizers, Nascomm 10000 Startups at Rs.3,500 (~$60) for the 3-day workshop. It’s a small fraction of the international costs for a potentially life changing experience for a young entrepreneur. If you want to contact the organizers, reach out to @rohith_v and @nitprashant for questions. If you are attending LSM this month, give me a shout @twitortat and say hi. It’d be great to get a few conversations started ahead of the event. 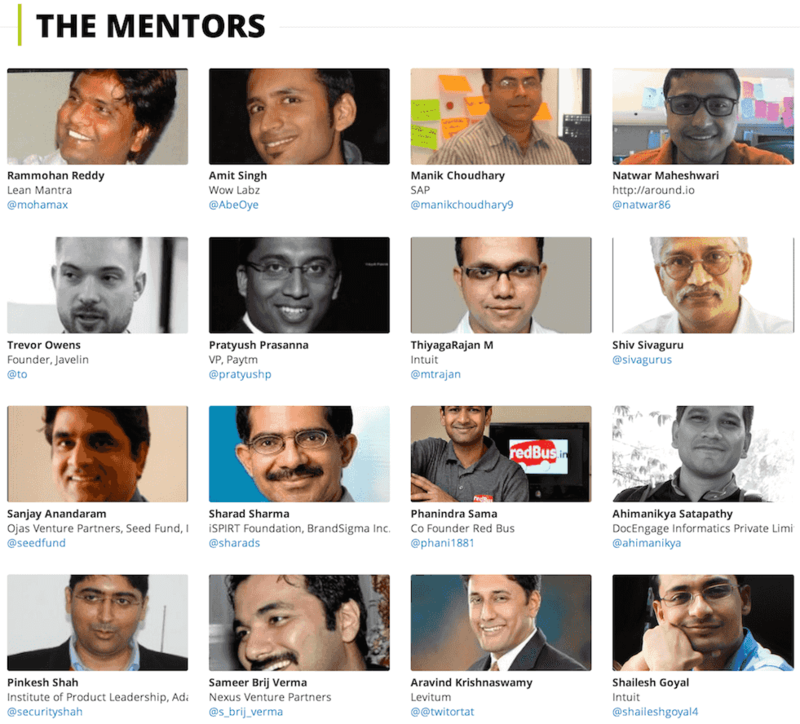 Why I'm a Mentor at Lean Startup Machine Bangalore was published on May 19, 2014 by Arvi Krishnaswamy .